There is something very satisfying about this Italian wedding soup with orzo recipe! 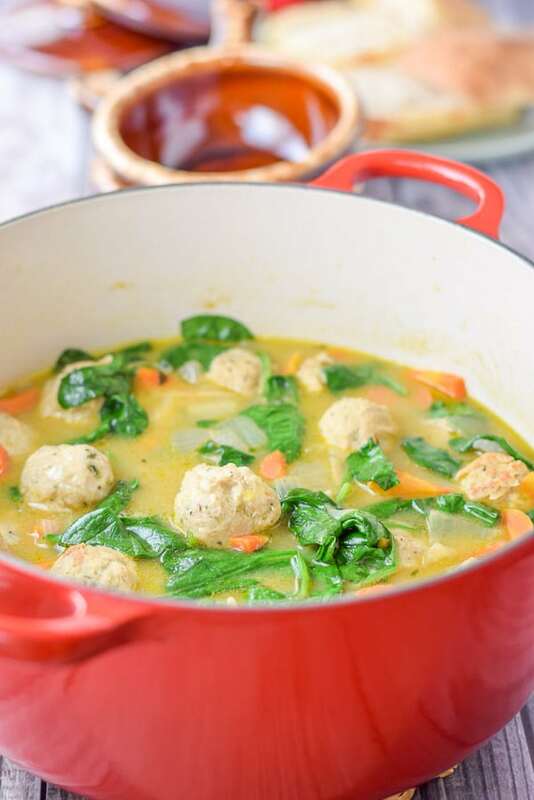 It’s all in the flavorful chicken broth, the succulent meatballs and the combination of vegetables! Did you know that this soup used to be called minestra maritata which if translated, would mean married soup. According to my research, they call it wedding soup because the meat and vegetables are perfectly balanced together, hence the wedding part. Also, it has the word Italian because it was a favorite of Neapolitans. For many years, I thought this soup was served at Italian weddings, hence the name. But, after my research, I realized I was too literal in my supposition. But you can see why I thought that, can’t you? It would be fun to serve this soup at a wedding, be it Italian or not. Though, it is definitely more hearty than your typical soup course. In fact, you could eat this as a meal and we often do. Especially with some delish crusty bread! Here is where I start. 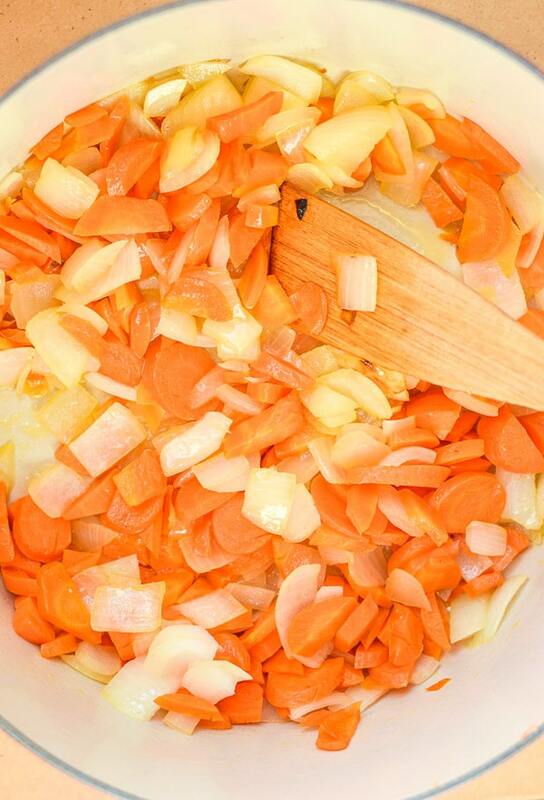 I heat my stock pot on medium and grab two carrots and an onion. I chop them both into chunks, dribble 2 tablespoons of oil in the pot and once the oil is heated, I place the veggies in the pot and sauté them for 10 minutes. As the veggies are sautéing, I start gathering the meatball ingredients. In the background we have ground chicken. 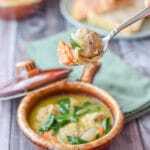 You can make this soup, with other types of meats for the meatballs, but I have to say that for this Italian wedding soup, I prefer chicken meatballs. I also grab some eggs, garlic powder, onion powder, tarragon, basil and salt. Not sure why I don’t learn this, but I only use one egg for a pound of ground meat and yet I always bring out two eggs. Just in case. Do you do that? Let me know in the comment section below. What aren’t pictured above are the parmesan cheese and the bread crumbs. I get my medium/large mixing bowl and dump the ground chicken in it. 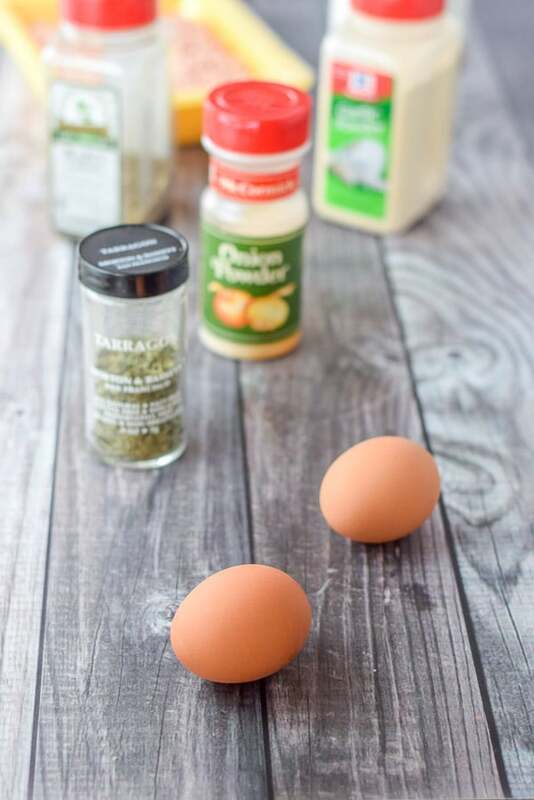 I crack ONE egg in it, eye the other egg a few seconds before moving on to measuring out one teaspoon each of the garlic powder, onion powder, tarragon, basil and 1/4 teaspoon of salt. I also measure out 1/2 cup of bread crumbs and 2 tablespoons of parmesan cheese. Once everything is sprinkled on the ground chicken, I roll up my sleeves and dig my hand into the mixture to combine it all. One of the things I hate most about mixing meat into meatballs is that sometimes the meat gets under my fingernails. I take a small amount of meat in my hand and roll it into a cute medium sized ball. I place the meatball on a plate and continue placing each meatball there until all of the chicken meat is used up. Meanwhile, the veggies are done! I use my wooden spatula to move the onion and carrots to the sides of the stock pot, leaving room in the middle of the stock pot for the meatballs. I dribble 2 more tablespoons of olive oil in the pan and place each meatball on the heated olive oil. As they brown, I gently turn the meatballs, being careful not to break them. It takes about 10 minutes, maximum. Next, I take out the chicken stock and orzo pasta. Once the meatballs are browned, I pour the chicken broth into the pan and bring it to a simmer. I keep it simmering for 15 minutes before I put in a little more than a half cup of orzo in. You can use as much orzo as you please, but I like just a little orzo in this recipe because this soup is all about the meatballs and vegetables. And the marrying of those ingredients. I let the orzo simmer for 8 minutes before dealing with the spinach. You could also use escarole lettuce instead of spinach in your Italian wedding soup, but I couldn’t find any that looked half way decent. 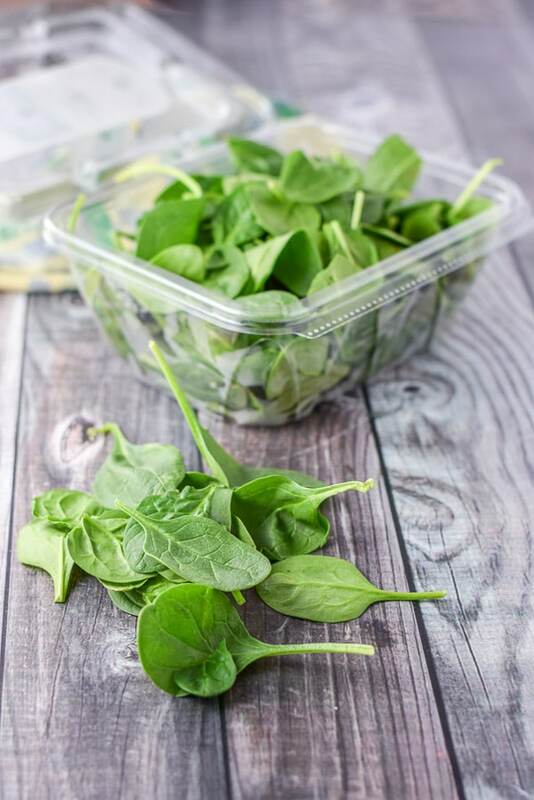 I grab two HUGE handfuls of spinach and put them in the soup. I stir the spinach around and let it simmer for another 2 minutes. Let’s see what the spinach looks like in the Italian wedding soup with orzo. Time to ladle the Italian wedding soup with orzo into two bowls for Christopher and I.
Let’s get a better look at the meatballs, shall we? I ask for my lovely assistant’s assistance. I hope you enjoyed this Italian wedding soup with orzo recipe. Please feel free to leave me a comment. What is your favorite soup? 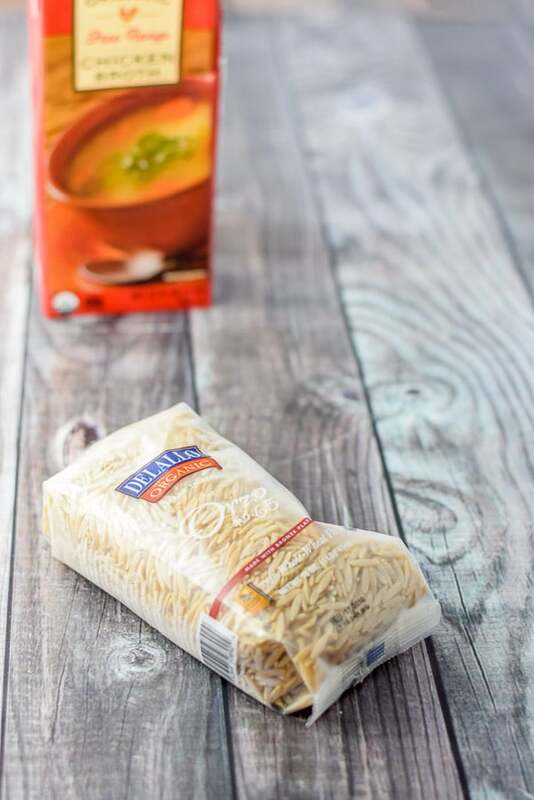 If you’ve tried this Italian wedding soup with orzo or any other recipe on the blog, I’d love the hear what you thought about it in the comments below. I love hearing from you! You can also FOLLOW ME on FACEBOOK, TWITTER, INSTAGRAM and PINTEREST to see more of my delicious food and delightful cocktails! 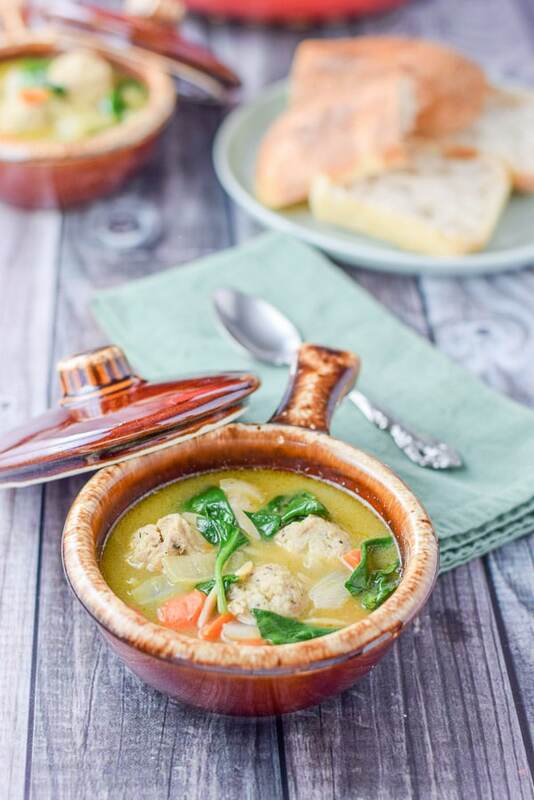 Hearty and satisfying meatball and vegetable soup. I love Italian Wedding Soup! I love that you used ground chicken for a healthier spin than beef. I am definitely making this for lunch with the girls the next time I host. I haven’t had Italian wedding soup in a long time. I think it’s time I rectify that! This looks delicious. Love that bowl! It looks very vintage! I’ve got a cold…really wish I had some of your soup right now. It looks very comforting. İ was wandering around looking for this soup recipe. 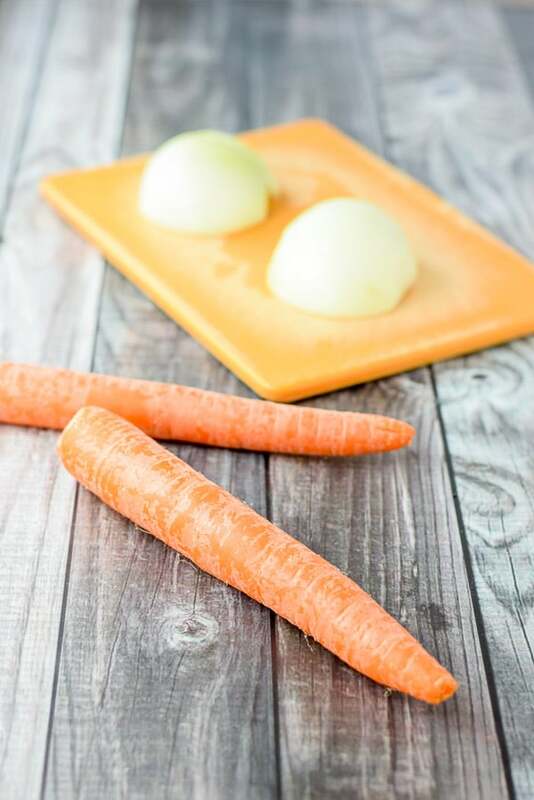 can’t wait to try this soon in my kitchen! thx for sharing the recipe Elaine. great post! 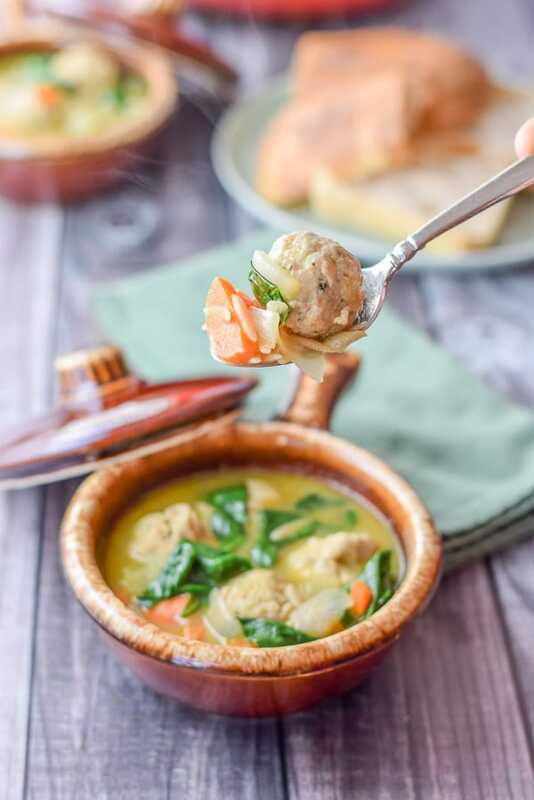 I love Italian wedding soup – love the addition of the chicken meatballs. I must try this.